Find here Garden Hotels coupons and deals. 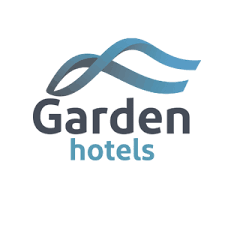 Garden Hotels Affiliate Program gives you the opportunity to monetize your online activities with one of the most renowned companies in the Balearic tourism industry. The chain offers 12 hotels and aparthotels in the islands of Majorca, Minorca and Ibiza. With 30 years of experience, Garden Hotels offers different types of accommodation to multiple targets, going from Family resorts to Adults Only hotels or Cycle tourism accomodations. All the properties are close to the sea and are environmentally-friendly, providing finest infrastructures and services. Accede a descuentos, detalles especiales y servicios exclusivos. Vivimos tus sueños. Y los hacemos realidad. Garden Values es nuestra original fórmula para convertir tus vacaciones en vivencias extraordinarias. Una novedosa e irresistible manera de ofrecértelo todo sin tener que renunciar a nada.